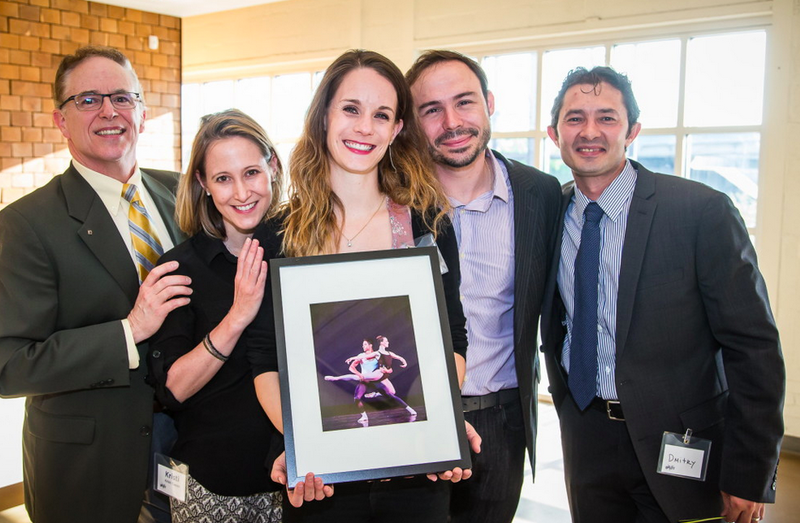 One of my favorite ballet blogger friends, Jill Krutzkamp (aka the sculpted beauty who makes you want to buy alllllll of the elevé), did something rather momentous last Spring: she danced the very last show of her professional career. Here I am looking out to a sunny summer Kansas City day. It’s just about 5 o’clock so I feel the energy of folks anxiously taking one step further away from their workplace, buses dropping off kids after their first week back from school, and doggies with full tummies wailing their tails, tongue out walking the town. I’m in a coffee shop, presumably as a “normal person” – quotation marks consciously bolded – doing my best to fit in the “real world.” I always imagined what these days would feel like. I wondered what it would be like to no longer put professional dancer on the occupation line of an application. Mostly, I wondered what it would feel like to not have the constant night after night of my cognitive mind reminding my body that I had get up and do it again. I decided for a culmination of reasons to retire after a 15-year dance career with Pittsburgh Ballet Theater, Cincinnati Ballet and most recently Kansas City Ballet. Honestly, it wasn’t a sudden decision because of a bad day, a bad season, or any one thing in particular. Actually it was nothing like that. It was a well thought out decision, with many days in between, saying “I can’t imagine my life without it,” “how will I possibly stay active,” and/or “will I ever be as happy?” The last question was the hardest to think about. My ballet career was good to me. I never thought in a million years when I was a 16 year old, that at 32 years old I would still be dancing. Now here I am, in the middle of America, all because of one thing. That one thing being my greatest passion, my first love, and cliché as it sounds – born to do – dance. At age five, I was rip-roaring and ready to dance, all caked up in my blue eye shadow; fluffy green ruffled tap skirt, and curled up ponytail (imagine 1987 and you’ve got the picture). When I head the devastating news that my performance had been rained out, I was genuinely devastated. Perhaps my first sad memory taught me for the first time what I needed to do to move forward. Luckily this one wasn’t a tough one. I danced in my driveway instead. 27 years later, I can recount many times that dance drove me forward thinking to my next decision. Already looking back I can recount a number of times that dance led me to bigger and better things. Whether it was my grades, my attention span, my self-esteem, body awareness new things, beautiful lands, magnificent stages, wonderful people, delicious food, and most importantly meeting my husband. Dance led me down the road that shaped me into the person I am today. Of course it is important to be honest that my journey training more than 30 hours a week since age 12 (which was the necessary path), WAS absolutely not an easy feat. The mental and physical wear and tear could sometimes be too stressful to deal with, but like the time I was 5, dance taught me how to keep forging forward. 2 months post retirement, I had to get a clean out surgery of my cranky left ankle, which poor thing, took a lot of beating. I had an “enormous amount of massive scar tissue,” which adhered and literally moved my tibial nerve away from its comfortable home. So let’s just say, I have some healing to do. However, I sure am on my way. In some ways, at age 32, I feel like a kid again, exploring myself without the title ballerina. For those who do know me, I bet you would say that I always balanced myself out by getting a Bachelors Degree while dancing professionally, attending my high-school prom (which so many dancers don’t get to do), and it’s true. However, nothing quite will be the same now that dancing isn’t my main priority. This leads me to a great point, perhaps the most important one of this whole post. The best thing I can do for myself at this point is to be grateful, go with the flow and ACCEPT my retirement. So far, not so bad! Like anything, time heals, patience is a virtue and everyday is different. I am on my way down a new road with great things coming. Whoever made up the saying, “Once a dancer, always a dancer,” is absolutely 100% true. It’s an indescribable feeling but I’ll do my best to explain. For me dance is a part of my heart, a part of my inner-being a part of my soul. So I’ll still be dancing. Perhaps at a wedding, maybe with my friends and family, but absolutely I’ll be dancing in my driveway. Jill after her final show with KCB Artistic Director Devon Carney, KCB Ballet Mistress and best friend Kristi Capps, Jill’s husband (how proud does he look?!) and Dimitry Truchanov. A big thank you to Jill for sharing this perspective with us! Hopefully we will hear from her again to see how her “new life” is treating her. 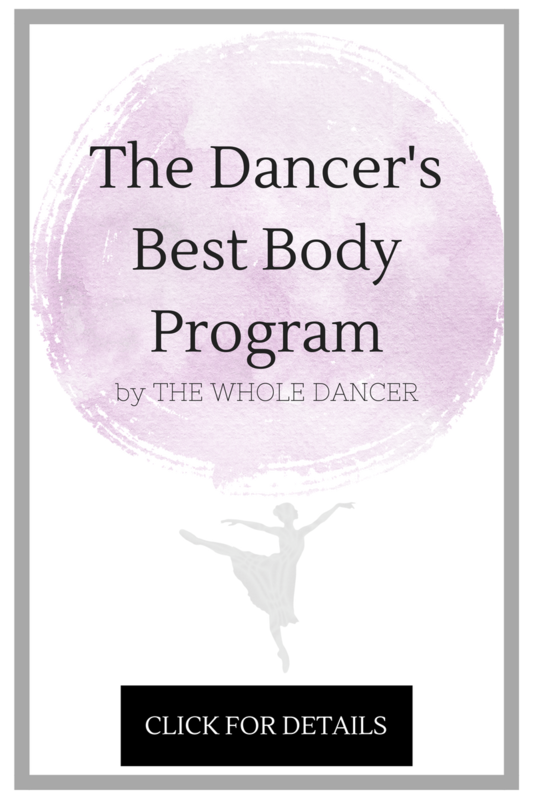 For more from Jill, check out her lovely blog, dancehealthier. BREAKING NEWS: Business Insider just listed professional dancing as one of the 14 most stressful jobs in America. Of course, if you are a dancer, you already knew that. But from the outside, ballet is tippy toes, tutus, and tiaras, and really, what could be stressful about that? For starters, at the tips of those toes are bruises that won’t quit. Inside that tutu is a body that works out hard. And under that tiara is a brain that is constantly churning new information. In addition to all of the mental stress of performance anxiety, the emotional stress of competing for roles daily, and the physical stress of grueling rehearsal hours spent training the body to defy physics, some dancers are forced to adapt to every other profession required of them: artist, athlete, nutritionist, makeup artist, hairstylist, physical therapist, doctor, seamstress, publicist…the list goes on. In small companies like the one I dance with, staff is limited and this collection of jobs can seem endless. Countless responsibilities + a constant fear of injury + an inconsistent salary (business insider listed the average dancer’s salary as “n/a”) = a whole lot of STRESS. With all of this pressure weighing on our sore shoulders day in and day out, it’s important to schedule in some time for stress relief. For example, right now I am writing this post from under the covers of my bed (yes, I realize it’s only 6:30 pm), with a cup of tea and a candle burning. The string lights my boyfriend and I hung last weekend are creating a tiny twinkling canopy over my head, a cute stuffed moose is overseeing my lounging and I’m thinking this might be as close as life gets to perfection. Yes, my feet are throbbing and I have a weird pinch in my right shoulder, but right now- just for a few hours, I have to sew pointe shoes later- I’m closing my eyes, exhaling those aches and breathing in the sweet aroma of relaxation. And boy does it feel goooood.